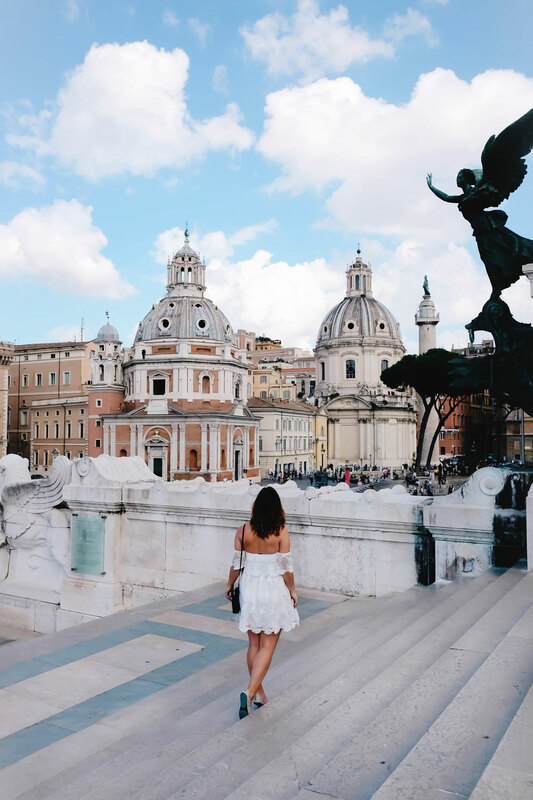 We kind of always want to be in the heart of things but in the quieter neighbourhoods, so after doing some research we decided we really wanted to be in the Prati district of Rome, which also boasts some of the most incredible places to eat at, drink coffee at, etc. We discovered Passione Terrane, hosted by the very kind and sweet Allesandro. It’s literally a hop, skip and a jump away from the Vatican, next to a metro line (which is big in Rome, as there are only two lines) and best of all, famous Bonci Pizzarium is right at the end of the street. We actually walked our entire time in Rome and it was perfect – Trastevere, the Spanish Steps, Monti, the Colosseum, everything within walking distance. Our room was beautiful and so cozy – given how much we were walking every day, needing that space to retreat to was so key. 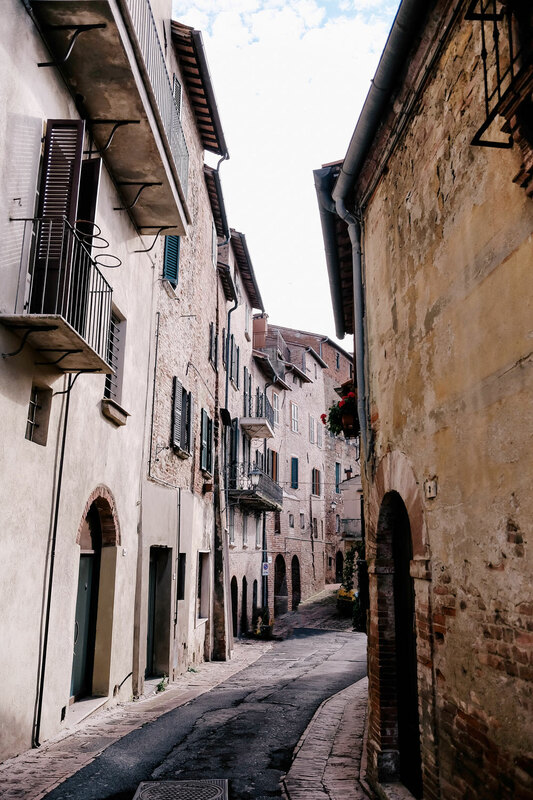 I discovered Montepulciano on Pinterest and became obsessed with the idea of visiting this medieval hilltop town. We drove from Rome to our country getaway hosted by Paolo, with vineyards stretching out right in front of our windows in every direction. Paolo is a seasoned host, and other than the incredible binders he has in multiple languages outlining everything to do in the surrounding area (pro tip: you’ll need a car for this part of Italy as you’ll want to hop around all the different villages, slash it’s just harder to get to so find a car service like Hertz that allows you to pick up and drop off between train stations! ), he also had jam, preserves, honey and olive oil that he’d made himself on his farm, with coffee and the like on hand so that we could seriously just cozy up against the chill Tuscany has around the time we were there. Our stay was so close to Montepulciano so we’d just cruise up the switchback narrow lanes till we reached the top and have some of our most amazing dinners of the entire trip, or head off to Pienza or the thermal baths famous in the area. It was such a beautiful experience to see Tuscany like this and our only goal now is to come back in the summer! I remember Matt and I joking about how the view in this Airbnb listing looked like a serious green screen had been placed right in front of the window – it was hard to believe the view would be that beautiful. Imagine our shock when we showed up and it was actually more beautiful than we could have ever expected! Siena is pretty teeny tiny and our space was perfectly situated on the outer circle of the city centre, with a parking lot right nearby to leave our car at overnight since we were just there for a night (Siena’s a protected heritage site [as many of the villages are] so we couldn’t bring the car right in). Everything was special, from our seamless check-in to watching a lightning storm dancing across the night sky. Definitely strongly recommend it if you’re stopping in Siena! 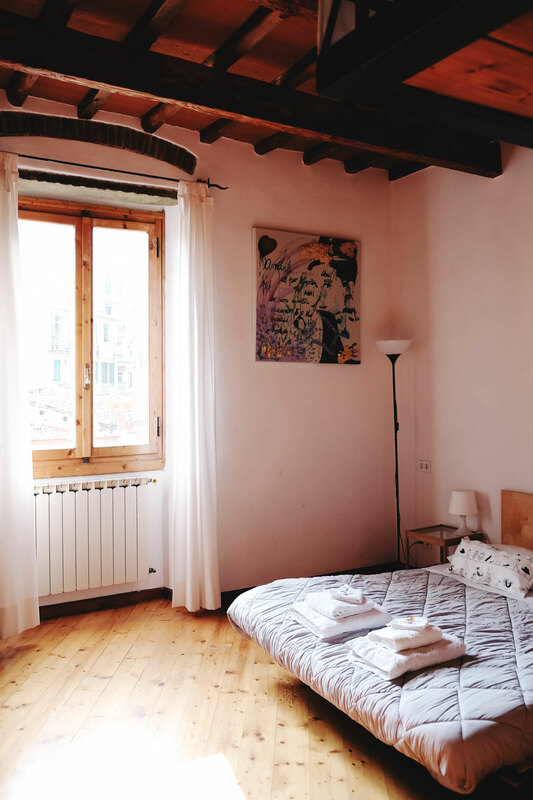 In Cinque Terre, there are no hotels unless you go to Monterosso al Mare so we knew we wanted to book early to make sure we got a great space. Well, we couldn’t have been happier with our booking with Andrea. Cinque Terre is notoriously steep and while we usually like a good workout, we weren’t really feeling it with our luggage and our Rome-battered feet. So needless to say, we were so delighted when after walking through the tunnel connecting the train station to Riomaggiore (the first of the five towns in Cinque Terre), we literally only had a teeny tiny hill to climb till we got to our Airbnb, conveniently located at the base of town. This stunning view captured above is literally a 2 minute walk from our space. 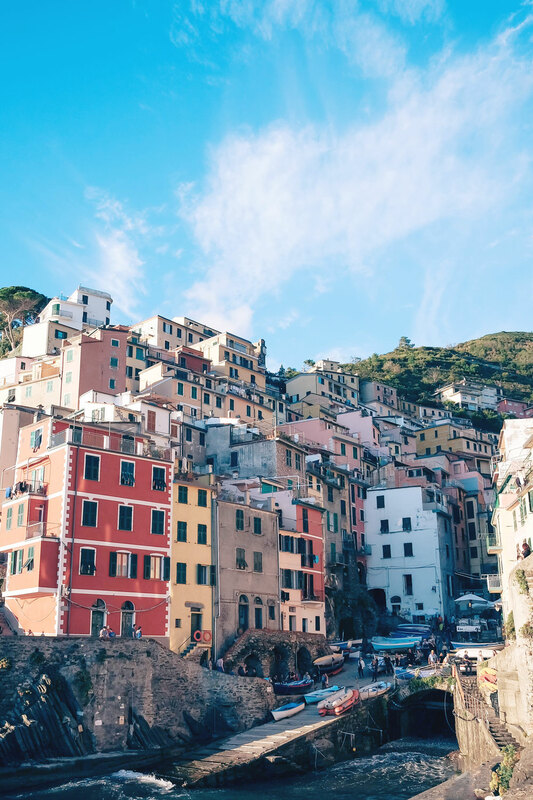 I loved being in Riomaggiore – getting to all the other villages is beyond easy with the train, and we also hiked one day working back from Monterosso al Mare. Couldn’t have asked for a more special experience in Cinque Terre. I don’t want to pick favourites but I mean…this was my favourite. 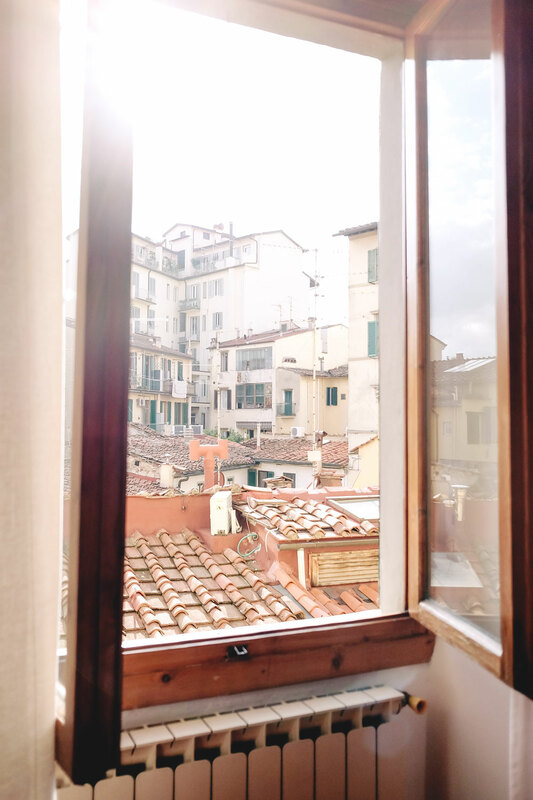 Matt and I both loved Rome the best and I personally really, really loved Cinque Terre, but I think Florence was just our most solid experience across the board, and this Airbnb had just about everything to do with it. Matilde and Leo are the nicest people, spending some serious time taking us through all of their recommendations (which included our favourite lunch of the whole trip at a pretty much locals-only trattoria underneath our space [a hard thing to achieve in Italy!] with the sweetest owners). I feel like we got to see Florence in such an authentic way, and they had so much info to rifle through, including a book that takes you through the little oddities and intricacies of the city. It was perfectly located, the space itself is so beautiful and unique, and yeah…if you don’t have Florence on your Italy trip, I’d have to say you need to pencil it in if only to have the experience of staying here and having hosts like Matilde and Leo introduce you to such a special city (one you can tell they’re very proud to live in). Our last leg! This was right where I was developing bronchitis (it’s not been a good two months for me health-wise #overit) so having somewhere I could quite literally collapse into was so key after a day of exploring beautiful Venice with this bug. Casa Verde was a lovely space to do so, in the beautiful Biennale area which is very wooded, quiet and cozy. Veronica was so sweet and her art (which hung throughout the space) was such a special touch, and she also had a super delicious breakfast for us every morning. 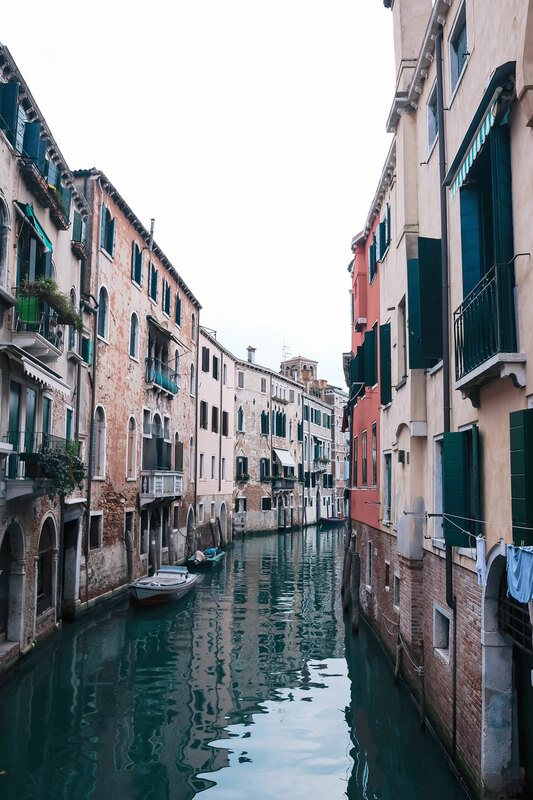 Everything in Venice is walking distance but there was a vaporetto spot located right next to it, so getting there was super easy from the train station and getting to Burano, Murano or even just to a further part of town was so easy. I also have to give a shoutout to Alessandra, whose space we were planning on staying at initially but unfortunately, she was running the marathon the day we were getting in so we were just like passing ships in the night and were lucky to find Casa Verde instead! But as for Alessandra, I was just so blown away by how sweet she was in an effort to accommodate us (trying to see if she could wrap earlier to get to us, etc!) and her space looks so lovely, and couldn’t be more central. Would recommend either for sure if you’re in Venice! if any of these locations above aren’t available on your dates, I would really recommend filtering down to five stars and “super hosts” – this will just ensure you find the most solidly reviewed places! I’d also recommend really spending some time going through reviews – while Wifi might be listed as an amenity, if it’s something really important for you and despite the five star rating, you see a few “only thing is I wish the wifi signal was stronger” type postings, then maybe look elsewhere! Similarly, if you’re not quite sold on a place based off of pictures (which aren’t always the best representation of a space) but the reviews are so glowing and people sound seriously moved by their experience, then reconsider! 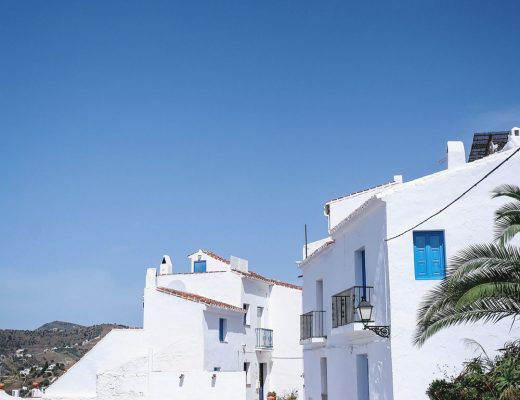 in Italy, every hotel, apartment rental, etc has to charge a tax and Airbnb can’t factor it in in addition to their own taxes/costs, so don’t be taken aback if your host requests that you pay it in cash! It’s just the law and common practice there. always make sure you have your passport on hand as they’ll need to scan it! be a good guest – these lovely people’s livelihood is based off of your reviews, your treatment of their space, etc. If you have an incredible experience, make sure you leave a glowing review, or if you have some constructive feedback then definitely message the host and let them know! And if someone is seriously amazing, nominate them to be a Super Host if they’re not already. I did so with Sofia (we’re FB official PS, I love her!) and was so delighted to see her get that medal next to her name because she really made our Crete experience so special! And with that, I’m off to tackle one of my new year resolutions: more video content! 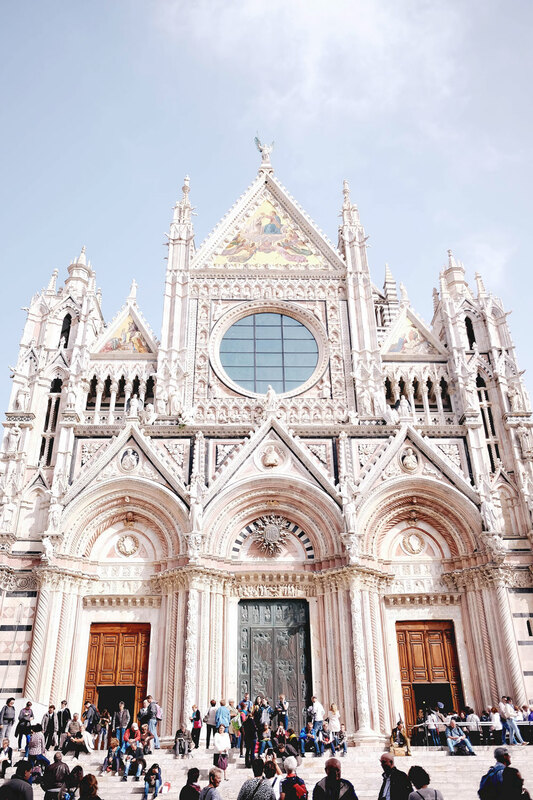 But as for Italy, I have so much coming your way it’s kind of not funny – it was just such an epic trip and we learned so much, so stay tuned for tons of Italy travel stories. If you have any specific requests, as always just give me a shout in the comments! Hope your week is off to an amazing start! Thanks so much lady! Honestly, the most expensive part was just eating! But even then, always different options (i.e. not having a full multi-course meal and opting for their amazing street food) – but the food is one of the main draws of going!!! The timing of this post could not be more perfect! We are going to Italy in May and will definitely be looking into your airbnb recommendations. 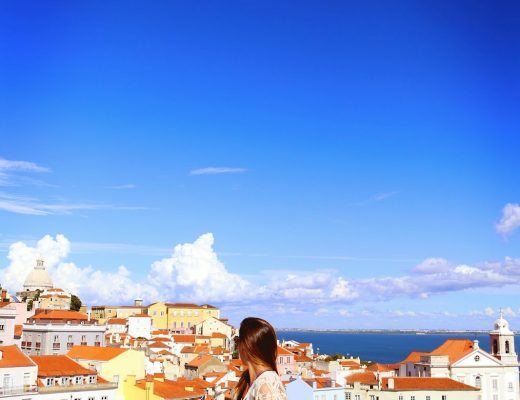 Can’t wait for your more in-depth travel stories about each city! Yes! This is exactly what I needed. I’m planning a trip to Italy right now (in Sept) & I plan to go Air BnB all the way. Aw yay! 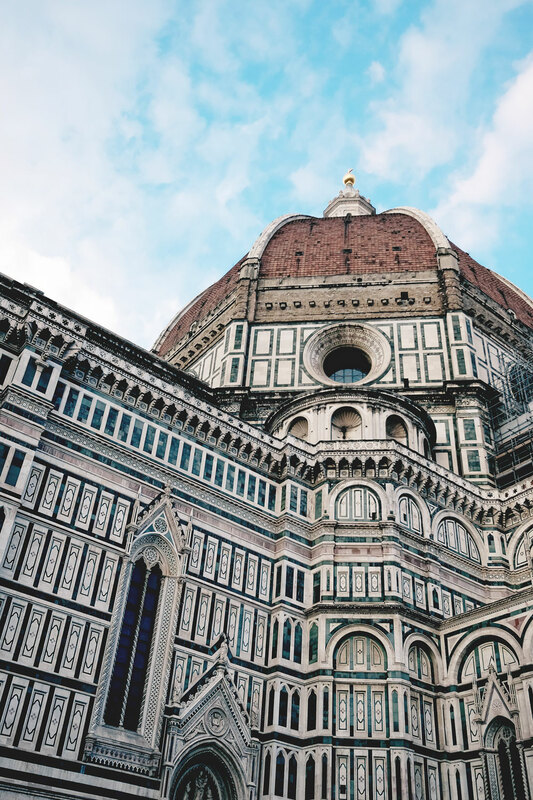 Let me know if you have any other questions – if you do Florence though in particular, you HAVE to stay with this listing, they were the best!! !